THIS IS THE "T560-1" MODEL WITH A STRONG CHART, MORE COUNTERWEIGHT, JOYSTICK CONTROLS, AND OTHER IMPROVEMENTS OVER THE OLDER T560 MODEL. 16,500 LBS COUNTERWEIGHT WITH SELF-REMOVABLE HYDRAULIC SYSTEM. CURRENT HOUR METER READING: 9595 TOTAL ENGINE HOURS, THESE ARE THE TOTAL COMBINED HOURS FOR CRANE TIME(APPROX 6,000 HOURS) PLUS DRIVING TIME(APPROX 3,600 HOURS). CURRENT ODOMETER READING: 82359 MILES. INCLUDES 60 TON HOOK BLOCK AND 7 TON HOOK BALL. CURRENTLY OSHA CERTIFIED AND IN SERVICE. 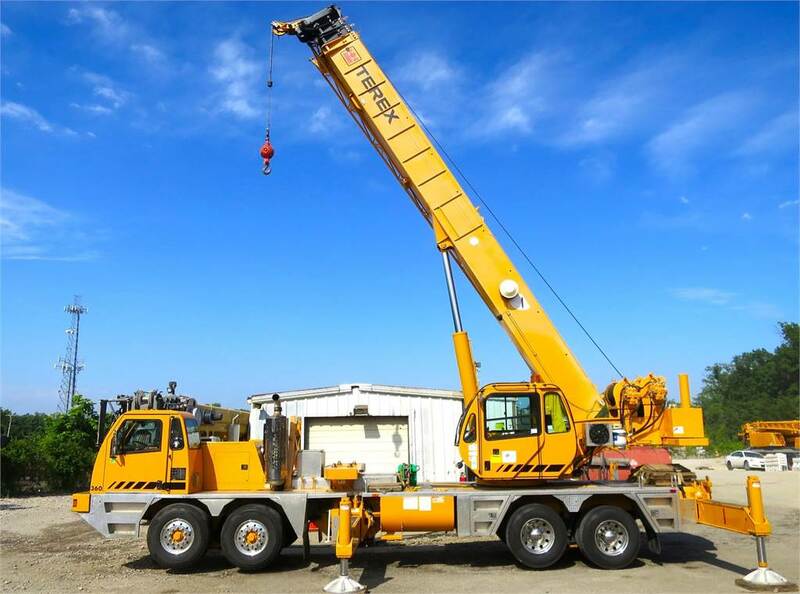 WELL MAINTAINED, EXCEPTIONALLY CLEAN CRANE.